Meghalaya Chief Minister, Mukul Sangma on Tuesday evening launched the Meghalaya State League (MSL) football for the year 2017-18 at a function in Shillong. Launching the league, Sangma said football in Meghalaya would be taken to the next level through the Meghalaya State League and it would create a new milestone in the State as far as football is concerned. Sangma said that the event was a new milestone which was being set as far as football was concerned in the state. “Irrespective of what happens in the country, there is love for football in the northeastern states and like some other states like West Bengal and Goa,” Sangma said. He expressed his happiness that the Government has been able to respond to the much needed intervention to help people realize the dreams and passion associated with football and ‘gives an opportunity to connect with football lovers all across the globe’. Assuring government’s support to the tournament through ‘Mission Football’, he stressed on investment for infrastructure for the State to be able to produce players who can draw attention of the whole nation. Meghalaya Football Association president, Larsing M Sawian informed that the MSL has been conceptualized with the objective to strengthen the competitive structure of football in the State. 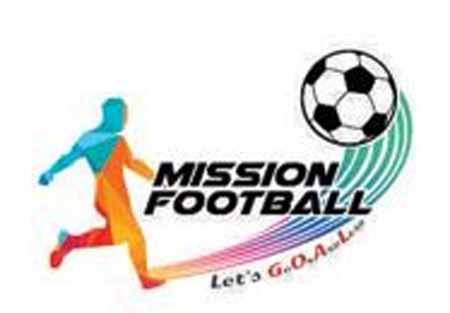 MSL is a feature of Mission Football to promote the establishment of football leagues across the State while providing employment opportunities to coaches and referees besides giving a platform to talented players from across the State to showcase their talent at the highest level in the State. The Chief Minister also unveiled the MSL trophy on the occasion in the presence of other officials and representatives of the Meghalaya Football Association. Twenty teams from Khasi, Jaintia and Garo Hills will be participating in the MSL 2017-18 that will be held at Jowai, Kurkalang in Ri Bhoi, Mairang and Ampati. The inaugural match will be held on December 16 at Kurkalang Ground, Ri Bhoi.